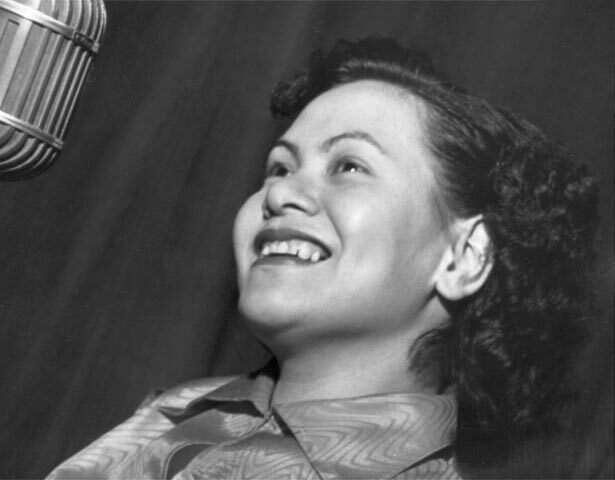 Rivers began her career singing with her father’s band, performing for servicemen in American Samoa during the Second World War. In 1947, the family moved to Auckland, where Rivers began working in the Peter Pan cabaret. This led to over 40 recordings for the TANZA label, who also worked with three of her sisters. Rivers attended Brigham Young University in Utah, in line with her Mormon upbringing, before returning to American Samoa to work as a radio DJ. Upon returning to the USA, she was offered a major deal with Capitol Records. She was also signed to the Reprise label, owned by Frank Sinatra, after Sinatra saw her perform live. Highlights of Rivers’ musical career included an appearance on ‘The Steve Allen Show’ in the US, and at the royal variety show in Auckland, where she performed for Queen Elizabeth II. She also performed at numerous festivals around New Zealand, including the International Festival of the Arts in Wellington, in 1990. Mavis Rivers is remembered as a phenomenal jazz performer. Sinatra is said to have described her as the ‘purest voice’ in jazz, and she was a favourite with jazz purists. Later in her career she was often accompanied by her son Matt Catingub and his band. We have 6 biographies, 4 articles, related to Mavis Rivers.